[dropcap size=big]W[/dropcap]ow, E3 2015 was phenomenal. Whether you were fortunate enough to go or ate up all the streams, news, and interviews online you’ve likely walked away feeling great about upcoming titles! I’ve personally been lucky enough to attend the convention for the past few years, although not for Cliqist directly. In any case, last year I wrote an article asking where exactly all the crowdfunded games were at the show. After all, 2014 was still years into the lifespan of both Kickstarter and Indiegogo but there were very few showcased at all. It seemed odd since many were coming out or just about to. Let me tell you: Things have changed tremendously in the span of a year. This time around there were dozens of crowdfunded games on the show floor, in private meeting rooms, and even being demoed “around” the convention center. Games that were funded, games that weren’t funded, and more were all present. The biggest surprise? Most of them now have publishers. That explains why they had space on the show floor! After all, buying out a booth (or even a private meeting room) is no doubt a huge expense for a small team. With that said, many were able to squeeze in alongside non-crowdfunded indies (such as in Sony and Microsoft’s huge booths) as well. 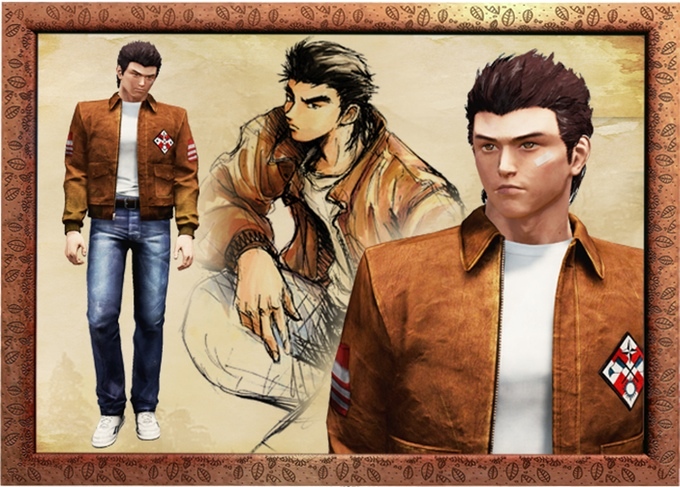 Of course, let’s not forget Shenmue 3 being unveiled during Sony’s press conference! It was absolutely exciting to see so many games I’ve previously written about on the site in playable form one after the other. Although I was unable to squeeze in the time to do so, I definitely ogled the likes of Harmonix’s Amplitude remake playing on a PS4. When venturing into the IndieCade area there I found Luckslinger. Despite not getting funded on Kickstarter, it was totally playable and the developer let me know it was planned for release in July! You’ve gotta love it when developers are still able to bring their games to life even in the face of a failed crowdfunding campaign. Armed and Gelatinous was also around and another failed campaign, though I never did figure out where it was camped. There was even room for those who have previously used crowdfunding to create a successful product. Do you remember Neverending Nightmares? The campaign was narrowly funded but produced an incredibly eerie, unique psychological horror game. Developer Matt Gilgenbach brought the demo of his next game, Devastated Dreams, to the show. I don’t believe this one will be coming to Kickstarter (though I could be wrong) but it’s lovely to see Kickstarter alumni continue creating games, potentially now with financial support from the get go. Obviously, heaps of successful campaign games were playable as well. Into the Stars? Check. Armikrog? Yes, now armed with Versus Evil as their publisher they were able to have multiple game stations rather than bringing a laptop to demo the game on. Bedlam? Oh, you can bet it was there and that it was tremendously hard for me to tear myself away from the PC. Mighty No. 9? Of course! And not only was it playable in a regular kiosk but thanks to having a meeting with 505 Games, I was able to play in a much quieter, cooler environment to truly get a feel for the game. I still sucked though. The console port for Wasteland 2 was also in this fantastically calm environment. Sheltered was even playable for those who met up with Team17. And that’s just the start. Everything I’ve listed off is just a small sample of how many crowdfunding-related games were available to play at E3 this year. There were many more out there, some of which I probably didn’t even recognize or notice, which shows just how much Kickstarter and Indiegogo have become ingrained in the indie game world. If things continue this way I truly expect that next year standout crowdfunding-focused publishers will snap up even more successful games and bring them to E3 2016. Of course, others will keep to their indie roots and hopefully find other means into the show. No matter what, I’m glad to see every game getting the attention they deserve!